European Commission for approval notification, BTA reports, citing Agriculture and Food Minister Valeri Tsvetanov. "We hope that the EC will understand the difficult situation of Bulgarian farming, and of stock breeding in particular. Measures will be taken to subsidize stockbreeders by head of animals instead of acreage," Tsvetanov said. Dairy stockbreeding has a problem with the reduction of dairy animals, he said. Agriculture Minister Tsvetanov and representatives of dairy producers' organizations signed late on Wednesday an agreement whereby the government undertakes to provide 60 million leva, or just over 30 million euro, for payment of year-long subsidies for quality milk, the Agriculture Ministry said in a press release Thursday. The document was also signed by State Fund Agriculture Director Atanas Kunchev and National Milk Board Chairman Dimiter Zorov. The subsidies amount to 0.20 leva per liter of cow and goat milk and 0.25 leva for sheep and buffalo milk. The agreement provides for the immediate start of subsidy payments for the months of March through June this year. 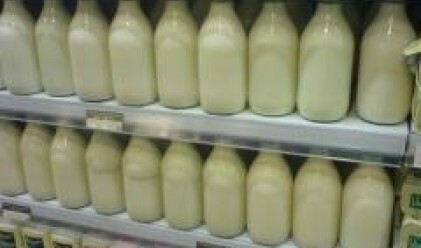 Another clause provides for scrapping VAT on milk subsidies for 2007, as well as for the establishment of a work group of the competent government bodies and food producers to consider a reduction in VAT on foods from 20 per cent, which is the effective general VAT rate, to 10 per cent. The agreement requires the National Veterinary Service to set in place by September 15 this year a national animal identification system and make sure it gets accreditation before December 15, 2008. In an interview on the Bulgarian National Radio Thursday, the agriculture minister said that the agreement has been the product of several meetings between farmers and Ministry experts. Association of Milk Producers, Adrian Tsakonski, and the other at the village of Sheremetya, on the Varna-Sofia road, near Veliko Turnovo.